We invite you to a unique walking tour through the meandrous narrow streets of the old town, the fortress walls and the churches, to bring back to life the course of the mythical castle-town throughout the centuries. We will get acquainted with the wealth, the power and the glory of the town, as well as the invasions, piracy and the difficulties of the life on the rock. 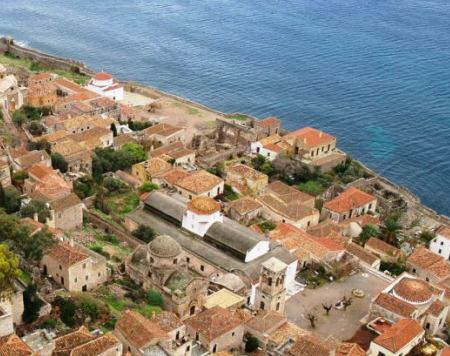 Gazing at Myrtoo Sea below the imposing rock, we will relive the stories and the legends, listen to poems written about this place, take a taste of magical Monemvasia.